A baby hat knitting pattern can be the perfect start to knitting for a beginner just starting out. Sometimes knitting can seem intimidating. Well when you think about it, isn’t anything a bit intimidating until you learn about it. Well knitting is no different. It requires special tools and reading a different language and it is one of the most beautiful yarn crafts there is. Please don’t allow your fears to stop you from learning this amazing craft. So, a baby hat can be knit in the round in circular needles or it can be done on double pointed needles or even in magic loop knitting All those methods are a little more advanced. I don’t recommend starting out with such a pattern. But a baby hat that is knit on two knitting needles, knit flat is a quick and easy way to start. Beginners learning to knit can get a lot of mileage out of learning this basics and putting them to use on a precious pattern that can be put to good use. A baby hat knitting pattern will give you the perfect baby shower gift made with your own two hands. It is always well received when the mother realizes you took the time to hand make something for her child. Plus you will have the satisfaction of creating something with your own two hands. This baby hat will easily be a one skein project, in fact you may get two or three little hats from one skein. This hat is meant for a newborn, but it would probably work for a preemie too and make a great charity gift for hospitals that have neonatal units and need hats for the little ones. 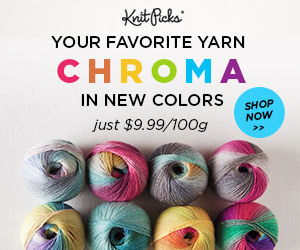 So, pick out a soft baby yarn in the color of your choice. 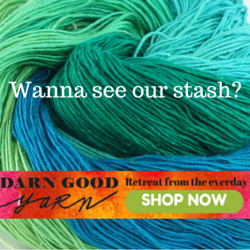 Use A Size 6, American or 4.25mm knitting needles. NOTE: now since you are new to knitting it is going to be very important that you practice knitting just back and forth over 15 stitches. You want to make a swatch to make sure you are not going to make a hat large enough for your head. This is a baby hat. So make your little swatch and practice until you get your stitches small and tight enough to meet this gauge. So those 15 stitches in a swatch should equal four inches. Go ahead, take the time to do this. You can thank me later. I have placed a video below for each of these things, except knit and purl, I figure you already can do that. Note: Knit the first stitch of every row. And slip the last stitch as if to purl on every row. Regardless of what the pattern says. More on this in a minute. in fact do that through the whole pattern, (it will make counting and sewing so much easier.) so knit the first stitch of every row, and slip the last stitch as if to purl, of every row. Row 1: knit 1, k1, p2 , continue in K2,P2, until the last stitch, then slip 2 as if to purl. This is the ribbing (See Picture). Because in this baby hat knitting pattern, we are starting with an even number of stitches and doing an even count pattern, K2P2 (or K1B K1B P2 for fisherman), it is already set up for you to slip the last stitch as if to purl, because you are already purling. And the first row stitch is already knitting. So, easy peasey. (This is only while you are doing the ribbing, when you get into the body and crown, See picture, you will just need to remember always knit the first stitch and slip as if to purl the last stitch, on every row. Don’t worry, more in a second that will make it all clear. Okay back to our baby hat knitting pattern! Next you are going to start the body of the hat (See Picture) This is knit in stockinette stitch. which is knit a row, purl a row. you always knit the purl and purl the knit. back and forth. over and over. It makes a flat beautiful, the right side, and a bumpy side, wrong side. Row 8: knit one, purl across to last stitch, slip 1 as if to purl. Continue repeating Row 7 and row 8 until you have 22 rows. A word as to why you knit the first stitch and slip as if to purl the last stitch. Row 23:knit 1, Knit 2 to together until last 3 stitches, then k2tog and slip 1 as if to purl. ( You have just decreased by one stitch all the way across, now you have 21 st) See Video for knit 2 together. Row 24: knit one, purl across to last stitch, slip 1 as if to purl. Row 26: knit one, purl across to last stitch, slip 1 as if to purl. Row 28:knit one, purl across to last stitch, slip 1 as if to purl. Bind off, (See Video) leaving a long tail to sew the sides together. I have also included a video to show you how to sew the sides together, you can do it one of many ways, choose the one that makes the most sense to you. they will all work. Success! You have knitted a baby hat, you are amazing! And just to make you a little bit more challenged and possibly a little bit crazy, this whole project could be magic looped, no sewing, no seams. Just a gorgeous little hat. But that may be for another day too. Seam Sewing: This video gives you a few choices. All work fine.